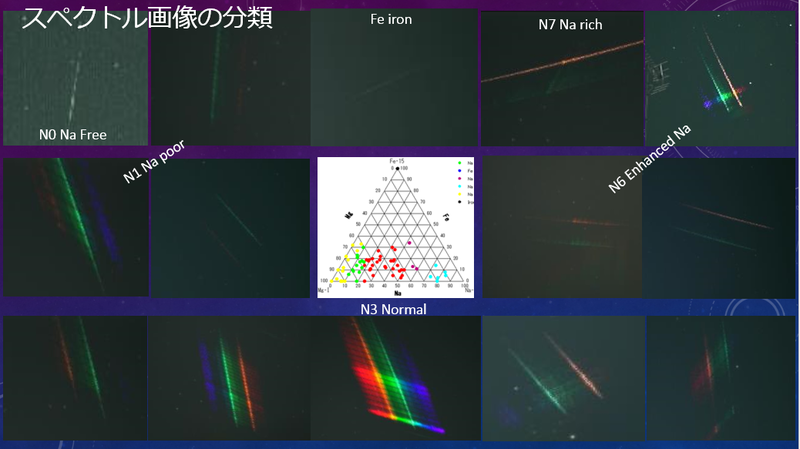 The Geminid spectrum is interesting. 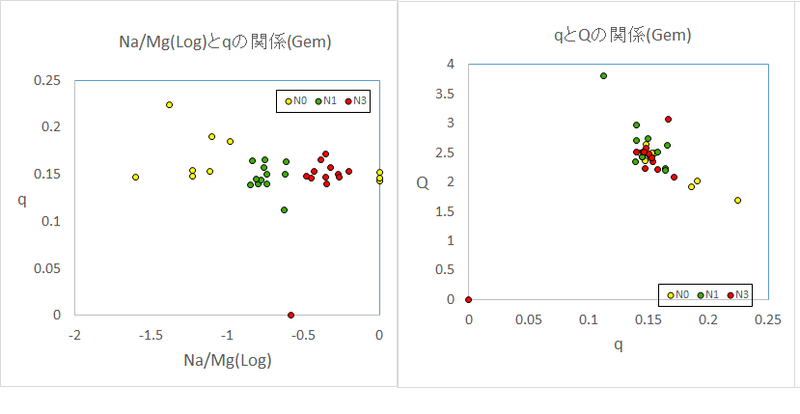 The Na/Mg ratio of Geminid spectrum has often discussed in this Japanese forum, too. I think the distribution of the ratio is wide every year. I hope to analyze the statistical distribution of that ratio. I could not capture a fireball spectrum in this year, but I have obtained a lot of normal magnitude (-2 to 2 mag.) 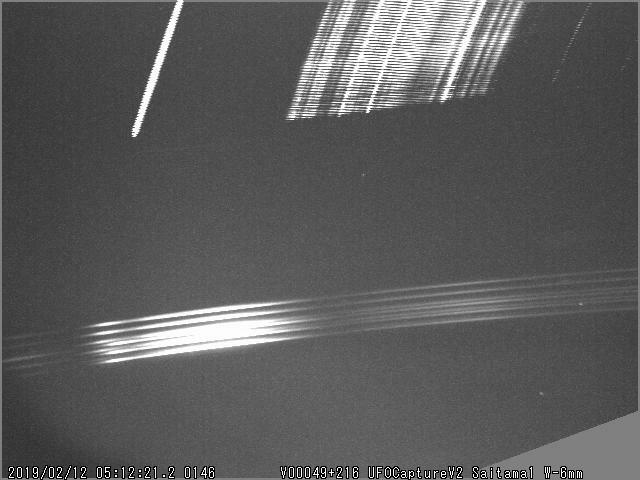 Geminid spectra. The weather with me wasn't great for most of the Geminids this year but I did get a short window that gave me two spectra. I remembered your post from 2017. Here is a multi year, multi plot (Possibly the first in the world of meteor astronomy!) of the Geminids from the past few years. The brightest, by far, is the green plot which I captured during an observing trip to Tenerife last year. This one has the lowest ratio whereas a fainter one from this year (the yellow plot) has a much greater ratio. It would be interesting to hear if your results have the same general form. That is, the brighter magnitude, the lower Mg/Na ratio? That would be a very interesting result from amateurs. The new camera chip is 1 / 2.8 inches in size with SONY IX 290. The sensitivity is high due to the back illumination type. But, the sensitivity is lower than the SONY a7s camera because the chip size is small. I would like to test another camera, but I am waiting for the lens to arrive now. I am honored to remember my writing message. And thank you for the interesting latest results. I had not pay my attention to the annual change of the Geminids spectrum, so I do not know the difference by year. However, since the spectrum of the Geminids has been taken every year since 2014, we may know something in the future. I also introduce my recent analysis results of Geminids. However, since this result is a preliminary value, it will change in the future. I plotted a triangular composition diagram of only Geminids during a few years. As you expected, meteors with a higher ratio of Na are brighter meteors. Faint meteors are in the vicinity of the left side. You can guess various things from this diagram. I am also looking forward to analyzing even more meteor spectrum. I am sorry that some Japanese are in the figure. Thanks for the information. That is a great result. It illustrates perfectly what amateur meteor astronomers can now achieve! 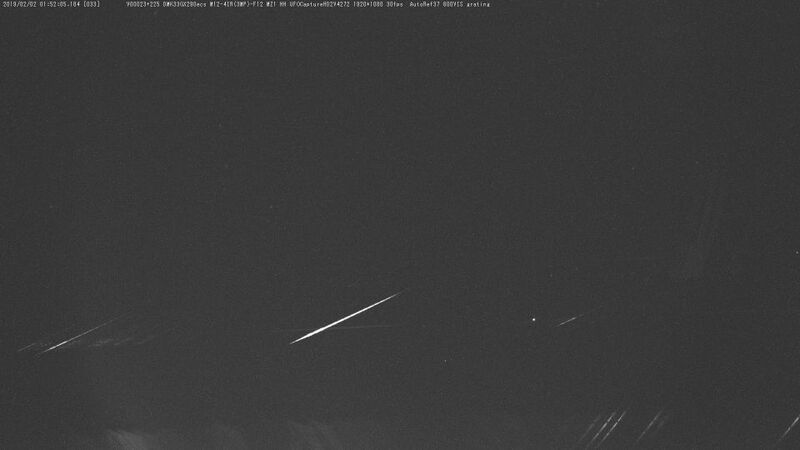 Have you seen the live tracking of meteors by the astronomers at the University of Ontario. It is amazing. Some of the unusual effects, such as the "dissolving" and fragmenting meteors I have been catching with my watec and 25mm lens systems, are clearly seen in their videos. I don't have the skills to build that kind of device on my own but I have an idea to "slow down" the meteors with a rotating mirror system. If you ever find a Cosmicar/Pentax 12.5mm f1.4 manual lens (designed for 1 inch sensors) for sale in Japan, please let me know! That's that last item I need. Good ones seem to be rare. I have searched ebay and other on line dealers with little success. I did get one and it proved my design but it was optically poor. All the best for a cloud free and happy new year. I have a little time today, I will have a holiday from this afternoon. The lens is sold in stores in Japan. Is this a video like this one? In Japan, there are only him who can take such movies. I've been testing out a ZWO174MM camera. With the latest drivers I could get the camera to run with UFO HD but there is an issue with the frame rate. With the USB3 interface there were lots of dropped frames when running at the maximum speed. Trying USB2 improved the situation but with a much slower frame rate. With an exposure of 50ms and UFO HD capture set to 25fps it seemed happy with the camera input at a stated value of 17.1 fps. I'm not sure how this all works into the timing accuracy but at least it produces spectra!!! This is my first HD spectrum. The image has been stretched and cropped but it shows the spectrum quite well. Even with a relatively poor angle of dispersion the ionised calcium lines in the UV can be seen to just split! This was caught using cheap plastic grating film! Thank you for your new image and introduction of your new camera. I think also that this HD spectrum has a good fine structure. The camera is famous, but it is said to have machine dependency. I think that you are lucky when you have found a condition that the camera works well. I have recently tested a new HD spectral camera, ImagingSource DMK33GX290ecs. This camera has a good performance. This camera will be another option. By the way, Mr. Sekiguchi is my friend of spectral observation. He observed many spectra everyday with many cameras. The advantage of his observation is that almost meteors have calculated the orbit by SonotaCo network. 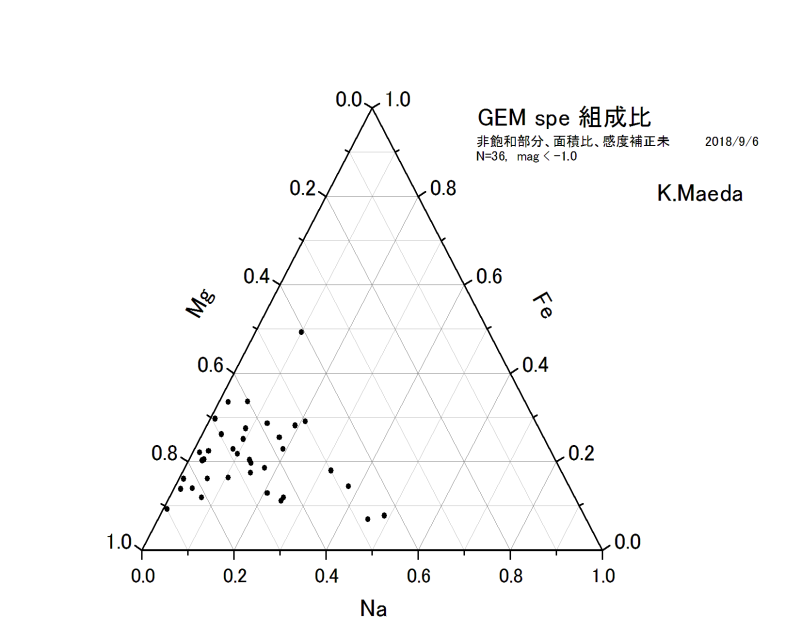 The mineralogical results look great. Yes, the camera seems to have several operational quirks but I will make more observations and monitor how it behaves. I have several friends I work with also to determine the orbits. The results are amazing. my meteors have calculated the orbit by SonotaCo network.